Welcome to our stop on Everland tour for Wendy Spinale. This tour is hosted by Rockstar Book Tour. His face draws close to mine. "You don't plan to march into the city and rescue your sister with a couple of dull daggers, do you?" "I'll find another weapon on the way." I grab for my pack, but he brushes my hand aside. "Do you really believe you and your kid brother can get her back all by yourself? It's only a matter of time before you're caught, too." Pete hands me my bag. "Most survivors have learned the two rules to staying alive. Number one: Don't leave behind a footprint. Bella and I stick to the rooftops. Others, those that are skilled with weapons and can run fast . . ."
"And have stomachs of steel," Bella interjects, wrinkling her nose. "Those Scavengers utilize the sewage systems," Pete finishes. "There are other people?" Mikey asks, tugging on Pete's coattail. "Of course there are others," Bella says with exasperation in her voice. "Lots of them. All kids, obviously. You don't think the four of us are the only ones left in England, do you?" "Where are the other kids?" Mikey asks, his expression wild with curiosity. Pete beckons us to the window. Mikey follows and, with reluctance, I join them. In the distance, the crumbledbuildings of Everland rise toward the sky like steel, concrete, and brick tombstones. The navy blue hues of night have faded into lavender as the sun on the horizon chases away what is left of the evening stars. Only two twinkling points remain. He points to the west. "Second to the right," he says. "Just below it." "You're telling me there are children hiding in Everland?" I ask in disbelief. 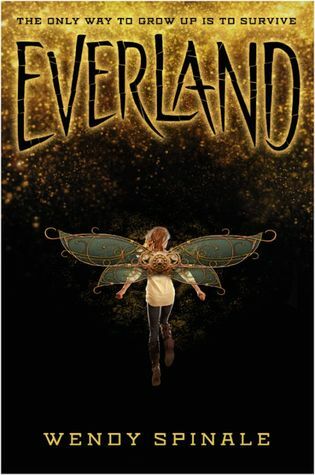 3 winners will receive a finished copy of EVERLAND, US Only. Love how this is a sort of twisted Peter Pan story so creative lolol!